Griffin Mining Limited (‘Griffin’ or ‘the Company’) is a mining and investment company, incorporated in Bermuda, whose shares are quoted on the Alternative Investment Market of the London Stock Exchange (“AIM”). The major asset of the Company is an 88.8% interest in Hebei Hua Ao Mining Industry Company Limited (‘Hebei Hua Ao’), the holder of 6.0 square kilometres of mining and exploration licences and the mine and processing facilities at Caijiaying in the People’s Republic of China (the “Caijiaying Mine”). The Company also holds 90% of Hebei Sino Anglo Mining Industry Company Limited (“Hebei Anglo”), which controls 15.7 square kilometres of exploration licences immediately surrounding the Caijiaying Mine. The Caijiaying Mine is an operating zinc, gold, silver and lead mine, together with processing plant, camp and supporting facilities, located approximately 250 kilometres by road, neoth-west of Beijing in Hebei Province in the People’s Republic of China (“the PRC”). The Caijiaying Mine is easily accessible by two freeways from Beijing. The site has significant water supplies, two 35 thousand volt “kv” power lines connected to the electricity grid, full connectivity to fixed and mobile tele-communications systems and broadband access for the internet services. It is 63 kilometres from Chongli, the host city of the 2022 Winter Olympic Games, to which a high speed train link from Beijing is currently being constructed. Climatic conditions are not severe with warm summers and cold, dry winters, enabling the Caijiaying Mine to operate for 365 days a year. The Company continues to aggressively explore, expand and develop the Caijiaying mine, whilst also investigating further potential acquisitions of mining projects that are capable of being brought into production and to meet historically preset, economic returns to shareholders. Griffin Mining Limited was formed in May 1988 in Bermuda as a mining finance company. In June 1997, the Company’s shares were admitted to trading on the Alternative Investment Market (“AIM”) of the London Stock Exchange. In October 1997, the Company changed its principal activities to mining and its name to Griffin Mining Limited. In November 1997 Griffin acquired a 50% equity interest in China Zinc Pty Ltd which held a 60% interest in the Hebei Hua Ao Mining Industry Company Limited (“Hebei Hua Ao”) a Chinese joint venture company, which holds the mineral rights at Caijiaying in the Hebei Province in Northern China. In March 1998, Griffin acquired the remaining 50% equity stake in China Zinc Pty Ltd, giving Griffin a controlling 60% interest in Hebei Hua Ao. In June 2012, Griffin acquired a further 28.8% interest in Hebei Hua Ao taking its interest to 88.8% and at the same time negotiated an extension of the term of the Hebei Hua Ao Joint Venture for a further 25 years to October 2037. Griffin through Hebei Hua Ao holds exploration licence tenements over 6.0 sq km at Caijiaying with a mining licence over some 1.5 sq km. Within these licence areas are eight zones of mineralisation, one of which, Zone III, is currently being mined. Development work is has been undertaken to access the Zone II area to the south in anticipation of a further mining licence over that area and the area between Zones II and III. Griffin holds an exploration licence over a further 15.7 sq km through a second Chinese joint venture company, Hebei Anglo, with further zones of mineralisation. The Caijiaying Mine was commissioned on time and budget in 2005 with an initial design production throughput rate of 200,000 tonnes of ore per annum. Numerous upgrades to the Caijiaying Mine and processing facilities have taken place since commissioning leading to the latest upgrade which has taken the name plate mill throughput capacity to 1.5 million tonnes of ore per annum. Underground development continues with the expansion of the existing mining operations at Zone III down to the 1,000 RL. Access to the Zone II area to the south of Zone III has been constructed allowing for underground drilling and exploration at Zone II. The mining and development of Zone II is subject to the successful granting of a new mining licence over that area. Hebei Hua Ao, was the first foreign controlled entity to receive an exploration licence in the Peoples Republic of China and the first to be awarded a new mining licence over a metal deposit in China, as well as being the first to construct a new mine. Griffin has been a responsible investor in China taking care of the environment and the local community. 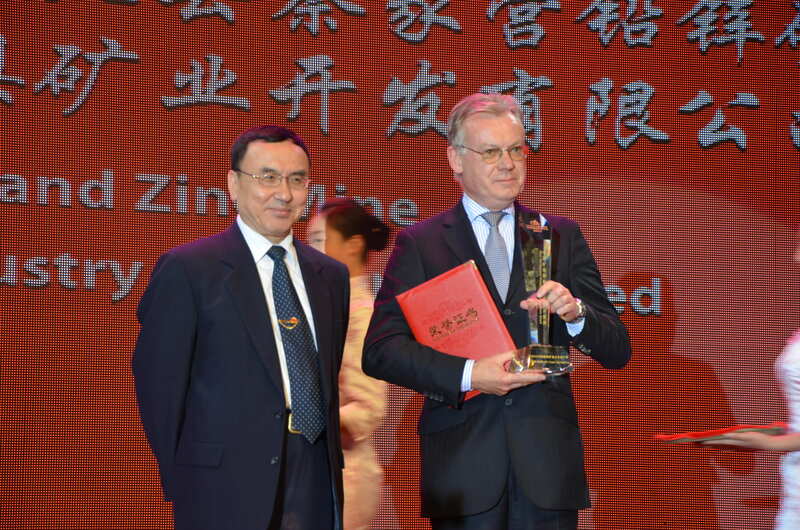 In November 2010 Hebei Hua Ao received the environmental award at the 2010 China Mining conference and in November 2011 the Mine Development Outstanding Achievements award at that years China Mining conference. Mineralisation was first identified at Caijiaying by the Chinese in the 1960’s. In 1994, following the introduction of legislation in China allowing the formation of joint venture entities with foreign parties, Hua-Ao was formed and in 1996/97 Griffin acquired its interest in Hua-Ao. 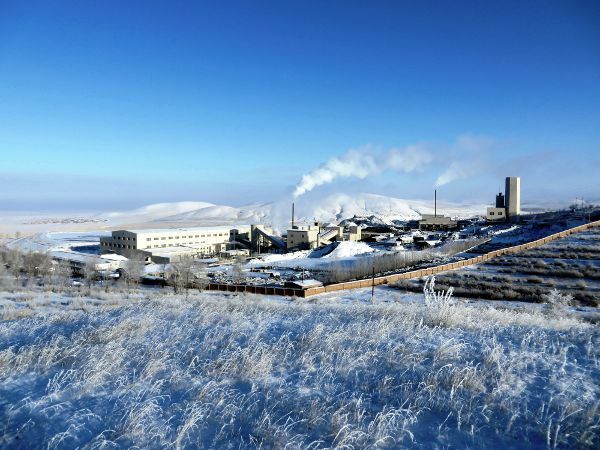 Griffin’s Chinese partner in Hua-Ao is the Zhangjiakou Guoxin Enterprise Management and Service Centre (formerly the Zhangjiakou Caijiaying Lead Zinc Mining Company), a partnership comprising of the Zhangjiakou City Government, and the Third Geological Brigade, of the Hebei Province. Griffin maintains good relations with the Chinese authorities at township, county, provincial, and state levels, which has perhaps enabled Griffin to advance its Caijiaying project further than any other foreign controlled mining project in China. Since the acquisition of its interest in Hebei Hua Ao, Griffin has undertaken extensive exploration, resource delineation drilling and other work, leading to a scoping study, feasibility study, financing and construction of the Caijiaying mine and processing facilities. In 2005 Griffin successfully commissioned the Caijiaying Mine on time and within budget, meeting its initial design throughput rate of 200,000 tonnes of ore per annum. 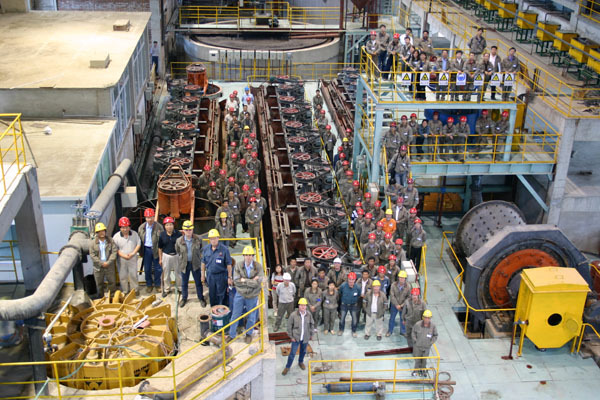 Production rates have been steadily increased since commissioning to just under one million tonnes of ore per annum. In December 2007, production of a separate precious metals concentrate containing gold, silver and lead commenced from an integrated circuit forming part of the main processing facilities at the Caijiaying Mine. This allowed the full economic benefit of these metals to be obtained by the Group. Previously gold, silver and lead were “lost” and unaccounted for in the zinc concentrate by the Chinese smelters. To date Griffin has invested some $270m on acquiring its interest in Caijiaying and in the development and construction of the mine and processing facilities. Exploration and resource definition work is ongoing at Caijiaying. There are eight known areas (zones) of mineralisation within Hebei Hua Ao’s tenement area with Zone III currently being mined and development work commenced at Zone II and in the area between Zones II and III. The latest JORC reported Mineral Resource Estimate for Caijiaying Zones II & III amended for mining depletion totals 46.9 million tonnes, representing a 50 plus year mine life at current extraction and throughput rates and over 30 years at planned expansion rates. Further information on Caijiaying may be found in the section on Caijiaying. These environmental best practices have been recognised in the past by the Chinese Government with Hebei Hua Ao being presented with the Environmental Award at the 2010 China Mining Conference and the Mine Development Outstanding Achievement Award at the 2011 China Mining Conference. In terms of further community interaction, Hebei Hua Ao provides a direct water supply to the local villagers, has constructed sealed roads to the Caijiaying Mine area, financed the construction of a local kindergarten, an old peoples rest home and assisted with other infrastructure projects. Hebei Hua Ao has also assisted in the upgrade of classrooms and accommodation at the local township school and set up “Project Hope” to provide scholarships to local students for ongoing study at primary,secondary and tertiary levels. 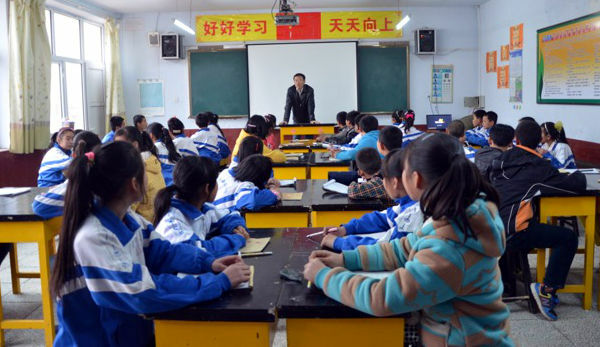 Expatriate workers from the Caijiaying Mine donate their time every week to teach English at the local township school in their off-duty hours. Griffin, through Hebei Hua Ao, instigated a programme to create a long-term industry for the Caijiaying local village, in particular, to provide a more sustainable annual income less reliant on the seasonality of crops grown in the short summer months. 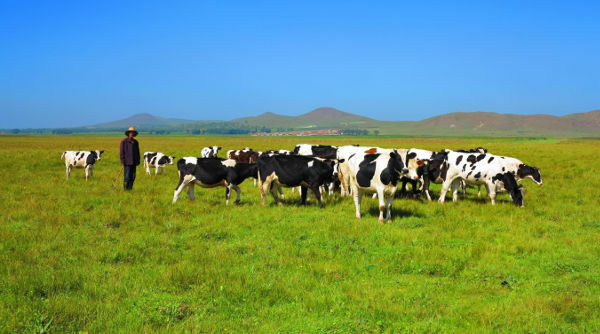 To that end, Hebei Hua Ao has to date provided the local community with 500 head of cattle and successfully created a dairy and cattle farm for the Caijiaying area. Griffin estimates that the Caijiaying Mine currently provides direct and indirect employment to over 1,000 Chinese nationals. During 2017, Hebei Hua Ao paid RMB 191 million ($28.4 million) in taxes, royalties, social security fees and other duties to Chinese Governmental authorities and agencies. It is recognised as the largest tax payer in the local county. In view of the significant potential of the Caijiaying Mine and surrounding areas and given the Company’s knowledge and expertise in China, the directors and management have focused on the further development of Caijiaying, investigation of prospective areas near to Caijiaying and other potential projects in China. Nevertheless, significant time continues to be spent on the evaluation of mining companies and projects worldwide to ascertain whether any successful acquisition can be made which has the possibility of matching the extraordinary returns provided by the Caijiaying Mine. Caijiaying’s short and long term metal production capability has been augmented with the expansion of the grinding and flotation circuits, ongoing underground infrastructure development and exploration work. Exploration has been focused on identifying geological targets and evaluating the potential for significant additional resources. Whilst the existing Mineral Resource Estimate (see page 10) confirms the availability of extensive resources at the Caijiaying Mine for increased production, further resource additions will also provide an opportunity to further increase production at the Caijiaying Mine. This will require further licences and permits from various Chinese authorities, an increasingly time-consuming process. Currently with the 1.5 million tonne upgrade completed, every effort is being made to obtain permits to enhance production and obtain a new mining licence at Zone II. This will allow all the known resources in Zones II and III to be extracted at a higher and more economic rate. Development work underground from the main Zone III area towards Zone II has enabled further resource definition underground drilling to be undertaken. A new haulage drive was completed during 2016 with the dual purpose of improving ventilation and removing previous bottlenecks caused by having only a single haulage decline to surface. Development work at Zone II is planned to begin as soon as the new mining licence is received. It is expected that this work will be completed in 2018 and that this will enable significant production increases from 2019 onwards. The two declines accessing the lower sections of Zone III terminate on the 1175 metre level. These declines will be extended to the 1000 metre level during 2018 in order to access the Mineral Resource between the 1175 metres and 1000 metre horizons to provide long term mill feed. Whilst the Company continues to develop the Caijiaying Mine and explore the surrounding area, the directors and management continue to search for, and investigate the potential acquisition of base metals projects that may be brought into long term, economic production for a capital cost that provides a substantial and justifiable return on equity to shareholders, particularly in a rising commodity price market. In March 2016 an agreement was entered into between the 3rd Brigade and Hebei Hua Ao, to examine the 3rd Brigade’s extensive database for existing known deposits and prospective mining areas and enter into commercial arrangements on those projects. A further agreement was entered into in December 2016 with the 3rd Brigade to specifically investigate and explore the Shitouhulun licence area (held by the 3rd Brigade) and the Sangongdi area. Both of these areas have considerable potential for mineralisation and are proximal to the Caijiaying Mine. The company also continues to evaluate other mines and assets in China outside the Hebei Province and in particular Inner Mongolia. Furthermore, a large number of potential projects have been analysed worldwide. None have been Successfully consummated for many reasons including negative findings during due diligence, an insufficient return calculated for the risk shareholders would need to accept in funding the project to production, overall risk profile and various other deficiencies in grade, tonnes, metallurgy, depth and difficulty in mining. Zinc occurs throughout the world with Canada, Australia, the USA and Peru traditionally providing most of the mined zinc, however, in recent years China has become an important producer having a market share of almost 40% of newly mined zinc. There are few large mines in China and production is dominated by hundreds of small mines. Reliable information on the Chinese zinc mining situation is hard to obtain. There has been significant growth in Chinese smelting capacity to convert zinc concentrate to zinc metal in recent years. While the number of electro-refineries and smelters outside China would probably number less than 100, there are over 500 in China. Zinc is one of the world’s most widely used base metals and as global urbanization continues to grow so too will demand for zinc. Zinc is integral for many of the products we rely on in today’s society like automotive parts and construction materials. The outlook for zinc bodes well for the strategy being pursued by the Company World demand for zinc currently exceeds supply. Zinc stockpiles at the London Metals Exchange (the “LME”) along with warrants held over zinc metal at the Shanghai Futures Exchange (SHFE) have being falling since June 2013. In the past few years there has been a limited number of new mines and a series of mine closures (e.g. Glencore Xstrata’s Perseverance and Brunswick mines, Vedanta’s Lisheen operation and MMG’s Century Zinc mine in Australia). This bodes well for the price of zinc and the profitability of zinc producers in the future.